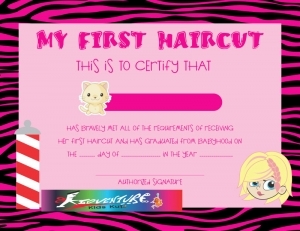 KidVenture Kut for Kidz is a one-of-a-kind hair salon designed specifically for kids! With our colorful salons featuring unique chairs, loveable cartoon characters and Wii Games, you’re sure to leave with a lasting memory. 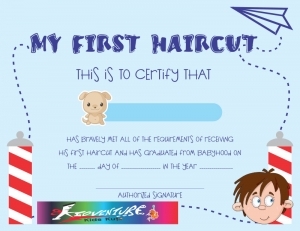 Our stylists are specially trained to cut children’s hair, even as young as baby’s first haircut! It’s our goal to make getting a haircut an awesome family outing that both you and the kids look forward to. KidVenture Kut for Kidz, where getting a haircut is fun! Our glamour and Princess Parties are designed with younger ladies very much in mind, giving your birthday girls and her friends an expereince they will never forget. Our dedicated party rooms are amazing, with movie star mirrors, beautiful dress-up clothes, director chairs, disco lights and stage. The KidVenture Zone has the popular “car” seats that will entertain the little ones while they get their haircut. Our flat- screen TVs are a great hit with the tween and teens, as they can connect or play video games while getting their hairstyles. The cost of $349 (plus tax) includes up to 12 children, additional children are $15 each. Because the partied are time-sensitive, we ask that gifts not be opened at the salon. Additional party favours and pizza are available for purchase, if desired. The cost of a “mini-party” is $265 (plus tax) for up to seven children (maximum).